Rebetiki Istoria is a small rebetadiko in the Neapoli neighborhood of Athens, just off Alexandras Ave., on Ippokratous. I was introduced to rebetika here for the first time in 2010, and the music hooked me from the start. When I lived in Athens, I stopped by every week and soaked up as much of it as I could. The owner, Pavlos Vassileiou, really sets the tone here, and it’s his commitment to early-style rebetika that makes Rebetiki Istoria unique among Athens’ rebetadika. 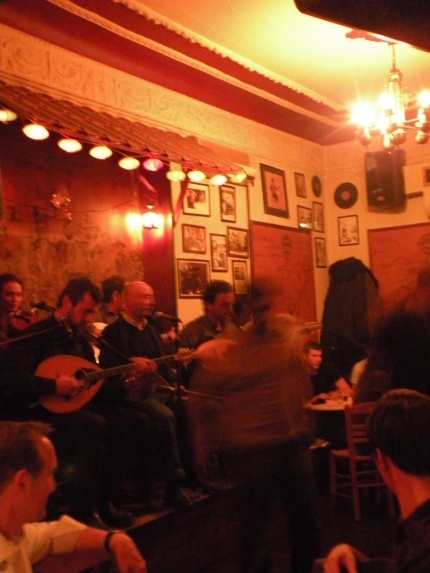 Most of the other rebetadika in the city tend to play a mixture of rebetika and more contemporary laïko, and their bouzouki players usually play in a more “modern” style. But Pavlos plays the music in 1930s-style exclusively, and he won’t deviate from this. But he does this for a reason: he views his magazi as a school–a place for Greeks (and foreigners) to come and learn about traditional rebetika–and as a venue for the preservation and promotion of an important part of Greece’s traditional culture, one which seems, sadly, to be fading away. 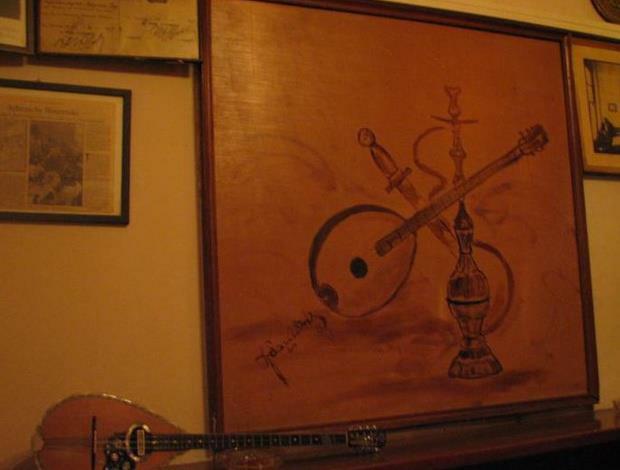 At Rebetiki Istoria you’ll hear rebetika–and only rebetika–all night long. And you’ll hear it played properly, with the right cadence, ornamentation, vocals, and improvisation. The taximia are slow and searching, and the musicians understand the modal system (the dromoi). The song selection comes from the entire corpus of old rebetika, and you’ll hear songs played here that, I think, you won’t hear anywhere else in Greece (people simply don’t know them anymore). If you’re lucky, and you happen along on the right type of night, you might hear an amanes, too. And on any given night you can find plenty of burly men dancing fantastic zeibekika on the small dance floor. And if you’re a musician, stop by on a weeknight, strike up a conversation about rebetika, and ask if you can come by another night and jam with the musicians–chances are, Pavlos will say yes (as long as you don’t play tetrachord!). So if you’re in Athens, and you want to hear some traditional Greek music, go here. There’s no better place to listen to rebetika all night long. Sadly, Rebetiki Istoria has now closed permanently, another victim of Greece’s ongoing economic crisis. However, the musicians are still available for individual performances, domestic and international. See the group’s website below for more information. Might you return to perform at the University of Michigan again or in Ann Arbor during your 2017 tour? Are you performing in Athens in September?